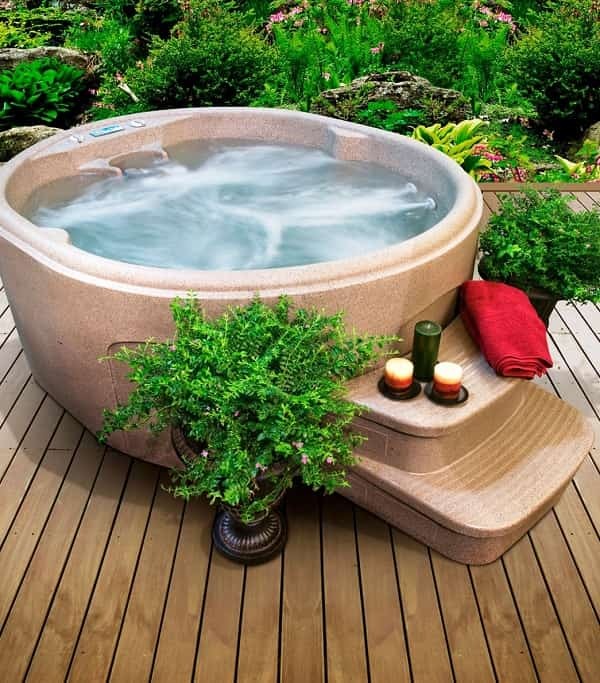 There are so many hot tubs and spas with various price and feature that you can find at Lowe’s. 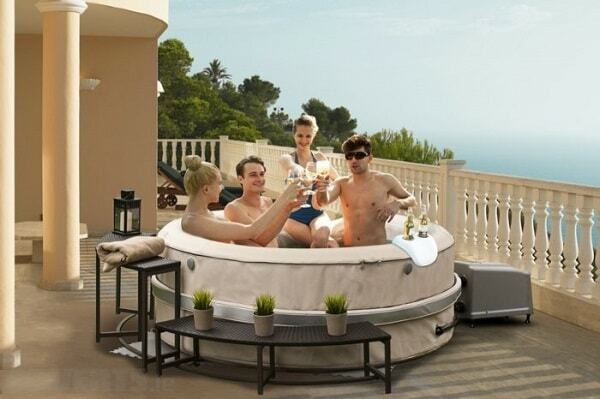 One of the products that catch our attention is LifeSmart 4-Person Oval Hot Tub or Lifesmart LS-200 DX Spa. 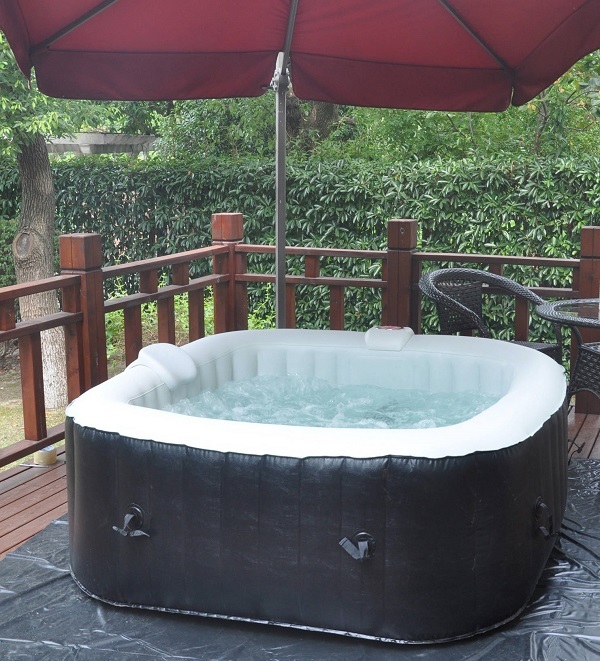 Lifesmart is one of the famous spa manufacturers that produced luxury and durable hot tub. This is one of ‘Plug and Play’ family members manufactured by Lifesmart which is very easy and efficient to install. 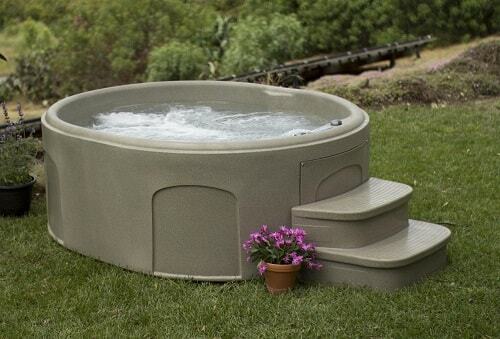 Also called Luna, this oval hot tub is kind of self-enjoyment spa than the one that can accommodate 6 to 7 people. 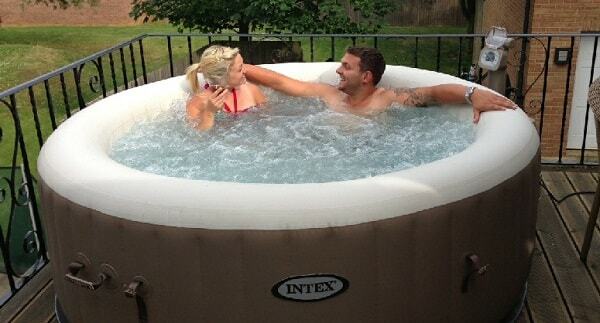 So if you ‘re looking for a hot tub for your own relaxation time, Lifesmart Luna is a great choice. Lifesmart Rock Solid Luna Spa comes in attractive oval shape with 70 x 66 x 29 inches dimension and 255 pounds weight. As the name implied, the tub has durable RockSolid roto-mold unibody shell which is highly indestructible. 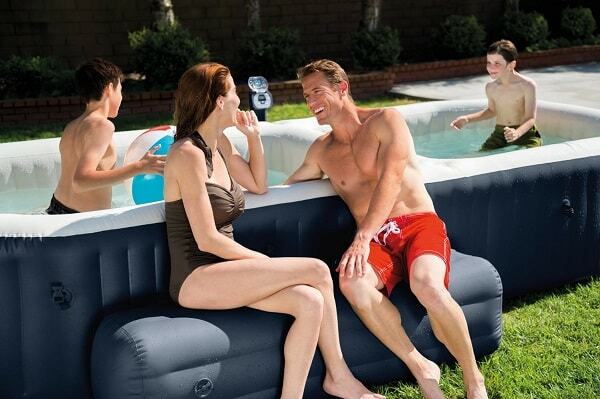 The tub can fit for up to 4 people. The sand color look of the tub will make everyone amazed and perfectly goes with backyard setting. Place some small trees around to make a beautiful tub decoration. Luna is also equipped with interchangeable mood lens cap that offers you the beautiful red and blue light to give you the best spa experience. There are 12 convenient jets attached to LifeSmart Luna. They provide the relaxing sensation which won’t make you disappointed. The jets are located nicely around the tub, some placed vertically to massage your spin and others are in the horizontal position to relieve your shoulder and neck. You can also enjoy the waterfall feature which is powered by 1.5 bps high flow pump. This is an energy saving feature that makes the spa doesn’t need high maintenance cost but still keeps it best spa performance. The full foam insulation system and durable spa covers also keep the heat well, so it can save more energy. The maximum temperature that can be reached by this model is 104 degrees F with 2 to 3 degrees Fahrenheit temperature rise per hour. Control every spa features of the tub via easy-to- access LCD control panel. 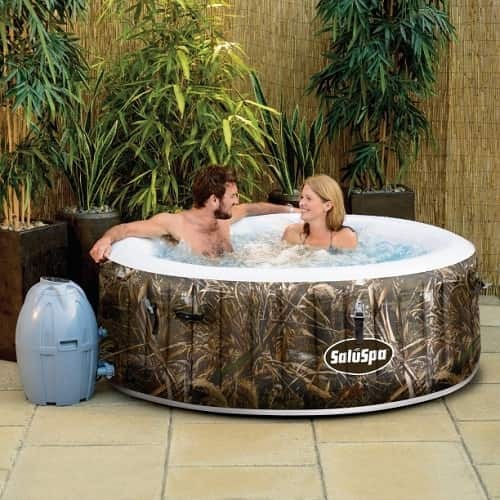 At Lowes hot tubs and spas this model is sold for $ 2,327.93. 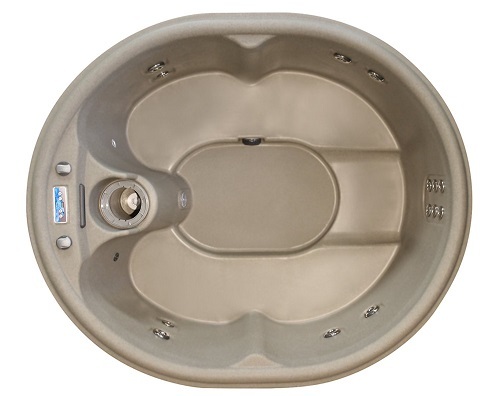 That’s all our Lowes hot tubs and spas review, we recommend this LifeSmart 4-Person Oval Hot Tub Luna as one of the best choices when you are looking for a well-built spa in small size. 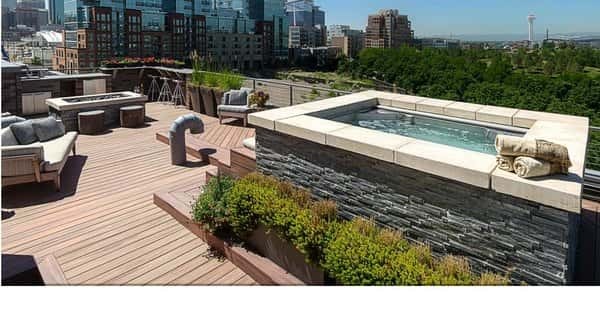 With the good reputation of LifeSmart, there is nothing to worry about the quality that this luxury hot tub offers both from its construction and performance.